Last month, Florin Seiceanu, our Carrier Relations Specialist, attended ITW (International Telecoms Week), the annual meeting for the global wholesale telecoms industry, providing a platform for 6,743 delegates from 1,944 companies and more than 140 countries to meet together and network. He talked to our business partners, met Sophia, so as soon as he came back, we invited him to share more insights with us. How did it feel to be part of an 6743 people event? 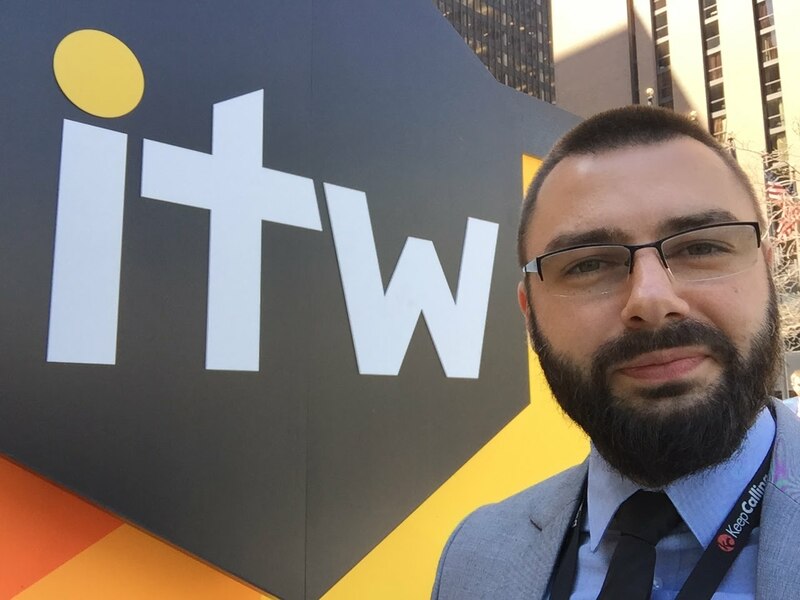 It felt great to attend ITW again, which is recognised as the biggest and most important for the Wholesale Telecom Industry. I was eager to meet again our partners so we can negotiate better deals for the voice products and to find out about the latest news and rumours from the industry. What were the most mind-blowing discoveries? The 1st company that will achieve true AI will worth several Microsofts. This might happen within the next 10 years. AI industry will reach this year 4 Billion USD and by 2025 , 59 Billion USD. 5G will lead to the next “Industrial Revolution” through IOT. 5G will be 200x faster than 4g and by 2020, it will be available in US. Although I saw before some videos with Sophia, I was very impressed by the prompt smart answers and by the realistic facial expressions. There are 18th Sophia robots built so far and it also has “siblings” with similar capabilities. One of them has the facial characteristics of Albert Einstein. Sophia uses artificial intelligence, visual data processing, facial recognition, voice recognition in order to interact. Hanson Robotics (the company that built Sophia) estimates that Sophia will have the learning capabilities of a 4yo by 2023. Could you please sum up the ITW experience in 5 words? Global, Evolution, 5G, AI, Future.